You’ve seen the presidential candidates. Now, come see the debate. US Elections have arrived in Apnu Amdavad. 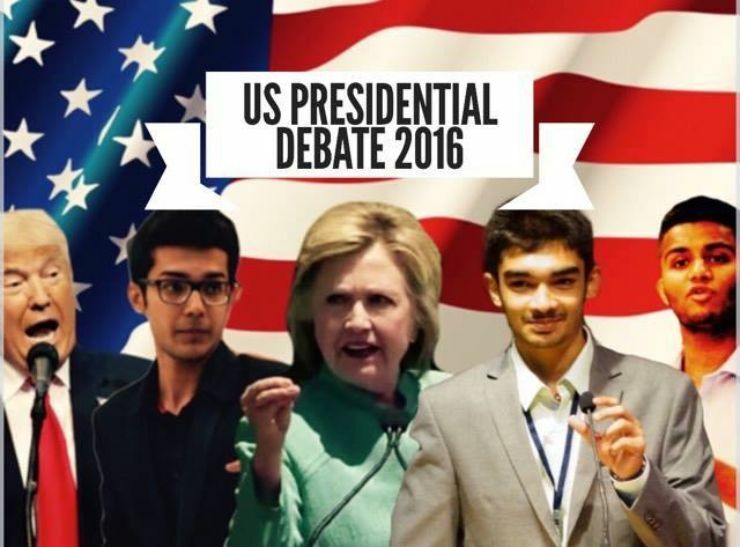 Come witness a first of its kind public debate in Ahmedabad, where the best debators of the city gather to have the maddest presidential debate you’ll ever see. Come for glamour, controversy, fireworks, and facts. Come for the impossible combination of rhetoric and reason. Come for a Hillary Clinton who knows how to use email, a Gary Johnson whose views might surprise you, and ultimately, a Trump with great hair.